Beautiful and strong back is a symbol of elegance and style. It not only makes your appearance look graceful but also makes you stand taller. 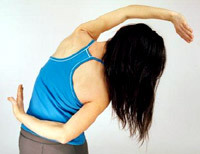 Taking care of your back is mostly a matter of awareness, prevention and good habits. Let us show you how..